Looking at the date on our last post, I realize that it’s been over four months since any content has been posted on this site. There are many different reasons of why this is, but I won’t get into that. 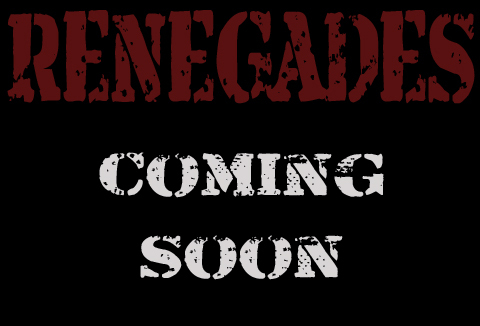 What I am here to tell you is that in the time that we were absent, progress is being and has been made on the reboot of our machinima series Renegades. We’re not ready to get into too much detail at this time, however, I can share some exciting news. For the first time, we have original music being made specifically for the series. In the past we’ve searched through music databases to find our scores, but thanks to our good friend Nevin Douglas (a.k.a. CruelLEGACEY), we will have our own music. This is great because it not only gives us more time to work on fine tuning in the editing process, but also guarantees us our own unique sound. And for now, that will sadly be all the info we can say at this time. As for an overall production update, Episodes 1 and 2 have been finalized and are complete, while work on Episode 3 is in full force. Most of the assets for Episode 3 are in place and we hope to have it completed soon. What does that mean for you, the audience? Well, nothing at the moment. Our goal is to start releasing the series to the public after we have completed a few more episodes and get a few other details straightened out. Hopefully we will have more info for you in the coming weeks, but only time will tell. Keep hanging in there. We hope to be back talking to you all real soon.